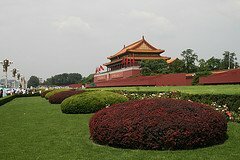 The capital of the People's Republic of China is the political and economic heart of this vast country and boasts its most outstanding landmarks and monuments including the likes of the expansive Tiananmen Square, the labyrinthine Forbidden City, and part of the iconic nearby Great Wall of China. Beijing is the nation's political, cultural, scientific and educational center and main transportation hub, as well as an attractive tourist destination to the world. Upon arrival at Beijing International Airport, you are to clear customs and immigration. After which, you will be greeted by our local tour guide and transfer to hotel for your overnight stay. Breakfast at hotel and your sightseeing begins with the Mutianyu Section of the Great Wall. Being one of the greatest man-made projects in the world, it was initially set up as a fortification to keep invaders from intruding. It is a landmark witnessing the great intelligence and hardship of ancient Chinese people. When you come back from the Great Wall, you will learn to make the colourful Beijing Opera Facial Masks-the cream of Chinese Culture. Facial masks can reflect qualities of different characters and the different colours use also portray a specific characteristic of an individual. Tonight’s dinner, enjoy Beijing most famous culinary dish- Beijing Roast Duck. With its tempting colour, crispy skin and tender meat, this dish is known as one of the best dishes in the world. Breakfast and proceed to visit the Temple of Heaven, the royal altar where the emperors of the Ming and Qing Dynasties worshipped Heaven. In the afternoon, your Hutong discovery begins. Narrow alleys between rows of quadrangle dwellings, presents traditional Beijing Life. 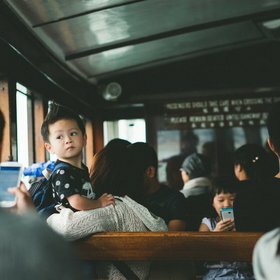 You will take a rickshaw to explore the hutongs and visit a local family where you will get to learn about the architecture, landscape and traditional local life. Here, you will learn Calligraphy, the art of writing Chinese characters; play Diabolo (Chinese YoYo). Also, get to enjoy Dumpling Making for your dinner tonight. Dumplings are a staple food of North China. Here, you will be demonstrated of the various types of dumplings and get to learn some basic skills of dumpling making. After breakfast, proceed to visit the largest city square- Tian-an-men Square. Walk through the square to the Golden Water Bridge. You will enter the largest as well as the best preserved imperial palace complex, Forbidden City. After lunch, you will take a bullet train to Xian. Upon arrival, proceed dinner before checking into the hotel for your overnight stay. Breakfast, today your tour begins with visiting the incredible life-size Terracotta Warriors. These include underground life-sized soldiers, archers, horses and chariots that represent the army which triumphed over other Chinese armies. Visit the Terracotta Warriors Replica Factory to learn about the process of making Terracotta Warriors. Here, you will be shown how to make them using clay. Moving on, you will visit the Gao Compound, where you will get to enjoy the famous Shadow Play. Breakfast, this morning visit the Shanxi History Museum, a tribute to Shanxi’s glamorous imperial past. Following this, you will visit Big Wild Goose Pagoda, which is one of the symbols of Xian which was built to house Buddhist Sutras in 652AD. Located in the middle of a beautiful temple complex, the pagoda is a must see for visitors to Xian. In the late afternoon, you will be take a bullet train back to Beijing and transfer to Beijing Airport for your homeward flight to Singapore. Lijiang in Naxi the language means "the bend of the JInsha River". Lijiang is located on the first bend of the Yangtze River. Lijiang Ancient Town was added in to the World Heritage list by the UNESCO on December, 4th, 1997 for its unique Naxi culture. There are lots of interesting sights around Lijiang. The lofty snow-capped Jade Dragon Snow Mountain, 35 km north of Lijiang appears on almost every postcard of the area. Arrival at Kunming Airport and onwards for your domestic flight to Lijiang and be greeted by our local tour guide upon arrival in Lijiang. After which, proceed to visit Lijiang Ancient Town. Breakfast and start the day with a visit to Jade Dragon Snow Mountain which is the highest mountain at lowest latitude in the northern hemisphere with its major peak of 5596 meters above sea level. It is opposite to Haba Snow Mountain with Jinsha River flowing across through between them. Along the mountain top it is all covered by snow all around the year and that makes it look like a jade dragon lying on the top of the mountain, therefore it was named “Jade Dragon Snow Mountain”. In the afternoon, embark on a brief lesson on Dongba Character. The Dongba Culture is said to been passed on by the Dongbas who were sages that integrated song, dance, the classics, history, painting and medicine. They enjoyed a high social position within the Naxi group. 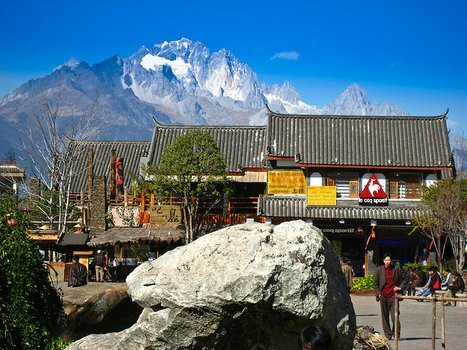 At present, there are no more than 30 Dongbas living in Lijiang, so it is a memorable experience for travelers to visit them. Thereafter, visit the Black Dragon Pool Park, which is also called Jade Spring Park since the water of the pond is green as a shining jade. Tonight, experience dinning with a local family for dinner. Breakfast, this morning, your day begins with a visit to Baisha Village. Here, you can find the earliest Naxi architectures of Lijiang in Baisha. They were built in the early days of the Ming Dynasty (1368 - 1644) with a simple and unsophisticated style. All the traditional old Chinese houses along the cobbled lanes are still looking like part of the ancient period except some of them are now turned into shops for selling arts and crafts to visitors. After which, continue your journey to Shangri-la and visit The Tiger Leaping Gorge, the world’s deepest river canyon. For dinner, enjoy a Tibetan Hot Pot. After breakfast, you will visit Potatso National Park and after which a visit to a Tibetan Home to have a better understanding of the life of a local Tibetan. Here, you will have chance to make Bettered Tea, a drink of the Tibetans, made from tea leaves, yak butter and salt. After breakfast, drive to Lijiang airport for your domestic to Kunming. Own arrangement thereafter for your International flight to Singapore. Guilin, famed as "the finest scenery under heaven", is China's most picturesque region and has long been one of the world's most famous travel destinations. Its breathtaking scenery has attracted many famous poets and artists from all over the world. Artists are able to find inspiration from the Karts mountains and the unsurpassed beauty of the Li River. Upon arrival at Guilin International Airport, you are to clear customs and immigration. After which, you will be greeted by our local tour guide and transfer to your hotel. Breakfast and after which drive to Longsheng. Stop by the Silk Factory and learn about the process of making silk from silkworms. Here, you may also have an opportunity to purchase some beautiful Qipao as well. Later, visit Longji Rice Terrace - built on hillsides. The terraces look like great chains or ribbons as they wind from the foot to the top of the hill. This ingenious construction makes best use of the scare arable land and water resources in the mountainous area. There are about 66 square kilometers terraced fields in southeast of Longsheng and the Yao and Zhuang Ethnic Tribes. This morning, your day begins with a delicious local breakfast of Guilin : Guilin Rice Noodles. The rice noodles are made from oil and rice flower. They are cooked in broth and served in a bowl of soup made from pork, beef, garlic, peanuts and pepper. After breakfast, we will visit a Tea Plantation and enjoy a tea picking and making experience. You will also get to enjoy a Tea Soup Meal, which is a distinct flavor of Guilin. The Tea Soup Meal originates from the ethnic people living in the mountainous areas that make and drink it as a way to warm themselves in winter as well as for rejuvenation and to feel energetic. After lunch, proceed to visit the Li River (Xingping Section). Gorgeous Karst peaks give you surprises at each bend of the limpid river under the blue sky. Water buffalo patrol the fields, peasants reap rice paddies, school children and fishermen float by on bamboo rafts. 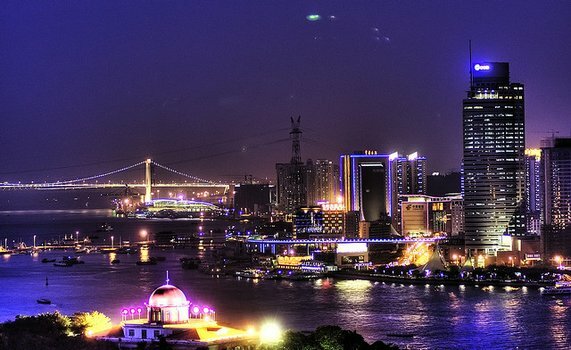 With this breathtaking view and a taste of life far removed from the concrete metropolis, the scenery along the river has become of China’s top tourist destinations. In the afternoon, enjoy cycling around the village and get to see the local lifestyle of the villagers and the beautiful scenery surrounding it. On the way, you will stop over at a villager’s home to learn more about the local farmers’ life as well as fruit picking at an orchard (seasonal fruits available). Following this, enjoy a Taro Meal with different dishes made from Taro such as : Lipu Taro Looped Meat, a famous traditional dish of Guilin which is always served at a traditional Guilin banquet during festivals and weddings. 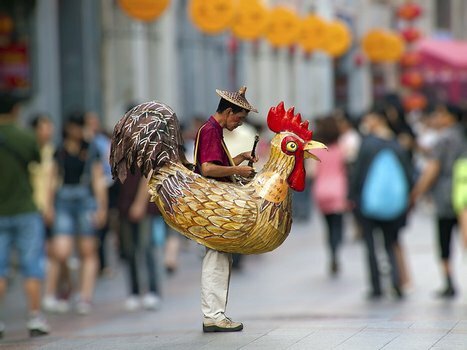 In the evening, take a stroll along the West Street and attend the Impression Liu Sanjie Show (optional tour). This is an outdoor performance, set in admist mountains and rivers in Yangshuo Country. The performance in this natural Shanshui Theatre is a masterpiece combining an awesome natural stage with excellence in theatrical production. This morning you will have an opportunity to learn Taiji and receive a technically sound foundation that will not only teach you the physical movements of the forms but also providing you the basis for lifelong improvement that enables stimulation of your internal energy. Whether your purpose is for health, body building, self defense or cultivating inner harmony, Tai Chi has benefits for all. Following this, try your hands at making some local Yangzhou dishes at a Cooking Class including a tour of Yangzhou market to learn about the ingredients used in this region. You will get the savor the dishes that you have whipped up for lunch and after which, we will proceed to visit the Silver Cave. Here, you will probably be impressed by its high hollow sky deep underground river, impending waterfall and dense stalagmite. Your day ends with having Yangshuo Beer Fish for dinner. This fresh carp fish is fried in a wok along with beer, hot and green peppers, garlic, onions, celery and tomatoes. You will be amazed at how delicious, fresh and tender the fish skin is. Eating Yangshuo’s beer fish will be an unforgettable culinary experience. After breakfast, visit the famous four-star national scenic spot – Gudong Waterfall Scenic Spot. You may experience the natural oxygen bar and tropical jungle by foot. Following this, visit the South China Pearl Centre on the way to Gudong. The Saltwater pearls are native to Beihai, grown within pearl oysters, family Pteriidae, which live in oceans. The most valuable pearls occur spontaneously in the wild, but they are extremely rare. These wild pearls are referred to as natural pearls. After lunch, visit Dayu Ancient Town. The two-kilometre-long ancient street is paved with bluestones slabs, with well-preserved old buildings standing alongside. Most buildings feature the styles of the architecture of Ming and Qing Dynasties. Experience the life on the island by picking seasonal fruits and crops in Maozhu, a small island on the Li River. 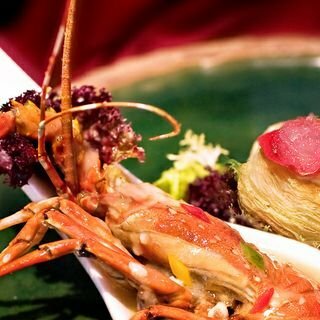 Also, you will get to enjoy a meal together with various delicacies prepared by local farmer. After dinner, unwind by playing firecrackers and see the beautiful sparks shinning in the sky. Breakfast at hotel. Leisure time until departure transfer to Guilin International Airport for your homeward flight back home. Arrive home with happy and fond memories of your tour with CTC Travel. Upon arrival, take Hotel Bus Shuttle Service to Hotel and check in. 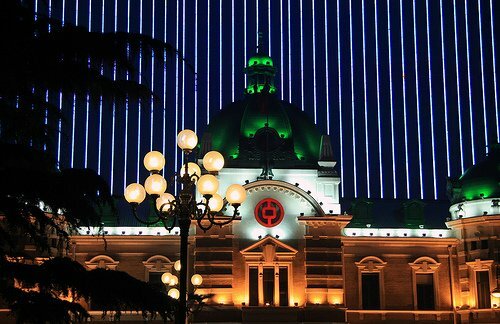 This morning, start your Macau City Tour. You will pass by Penha Hill and visit the historical Ruins of St. Paul’s Church to appreciate the beautiful sculptures on the archaeological façade and Fisherman’s Wharf. Next visit Kun Lam Tong Temple which its decorated halls are dedicated to the Buddha of Longevity and Goddess of Mercy and Macau Tower. Lastly, visit the A-Ma Temple which was dedicated to the seafarer’s goddess dated from the early 16th century. You may like to shop for local products or visit the Venetian casino before transfer back to Hotel. Pick up at hotel, then take Hotel Bus Shuttle Transfer to Macau Airport or Pier. or Optional Tour: Zhuhai &amp; Zhongshan Tour with Seafood Lunch at only S$1 Pick up Macau Hotel, visit Zhuhai Lover's Road - The Fisher's Girl Statue - Shijingshan Garden - Seafood Lunch - BaoShuTang Shop - Zhongshan - The Former Residence of Dr Sun Yat Sen, Cuiheng Village, Gongbei Shopping Plaza. Tour end at Zhuhai Border or Pier (Paxs own arrangement from here onwards). Upon arrival, take Hotel Shuttle Bus transfer to Hotel and check in. Pick up at hotel, then take Hotel Bus Shuttle Transfer to Macau Airport or Pier. Assemble at Changi airport for yur flight to Xiamen. On arrival head to Tongan. Visit the Tong an movie is a magnificent antique man-made landscape. Select the typical architecture of the Forbidden City in Beijing, namely Tiananmen Square, the Hall of Supreme Harmony, Hall of Mental Cultivation, the Summer Palace corridor, Ming and Qing street as the basic building groups. then back to Xiamen,visit the Nanputuo Temple,Then, take a tour at the Jimei School Village, founded by Chinese patriot Tah Kah Kee. Lastly, take a ride along HuanDao Road-Golden Coast to White Deer Park in town. Then we enjoy of GongFu Tea. After breakfast, travel to Gulangyu formerly known as round sandbar, Yuen Chau Tsai, Yinhaixinan sea caves by the wave, sound like a drum, the Ming Ya into this. Due to historical reasons, Chinese and foreign styles of different buildings here to be intact collection, retention, " International Architecture Exhibition, " After take a coach ride to Chaozhou. Then, take a trishaw ride at (your own expenses) in the local market. Today after visit the silk factory, visit the Palace of Thailand Amusement Park. Next,to Chaozhou West Lake. Very clean lake in the city. Then, visit the Kai Yuan Temple. Chaozhou Kaiyuan Country-Guard Temple first built in 26 Kaiyuan of Tang dynasties. Also, visit Han Memorial which is built to commemorate Han Yu. Take an exterior view of the ancient Xiangzi Bridge. 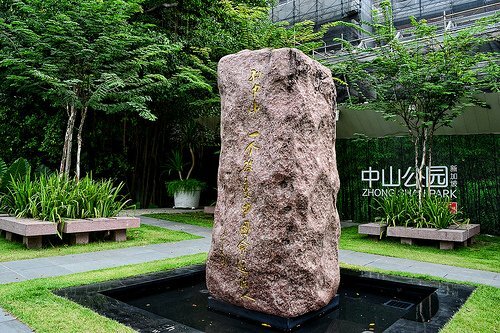 According to the legend, the inscription is written by Han Xiangzi- one of the eight immortals, after take a coach to Shantou. Start your day at Shantou, head to People Square and Zhongshan Park. Thereafter, visit the Long Quan Yan Temple, Shi Pao Tai and Daoyun Hakka House before retire for the day. Daoyun pavilion conventionally called multi-storied building, octagonal, seat south face north, perimeter is 328 meters, height is 11.5 meters, wall thick is 1.6 meters, and total area is about 10,000 square meters. Inside house divided into three, total deep 28 meters, front, and middle is bungalow, middle and back each has a dooryard, although deep but ray enough. This morning, visit Bay Bridge. this is a suspension bridge which was built in 1996 with a main span of 452 meters. Depart from Shantou back to Xiamen, free and easy before taking the flight back to Singapore. This morning, visit Bay Bridge. This is a suspension bridge which was built in 1996 with a main span of 452 meters. Also, get to visit The wind-driven rock,to odd, dangerous, hanging door to the country more than 60 blocks of wind in stone,. And visit GBuilt to worship the Shu general Guan Yu of the Three Kingdoms period. Depart from Shantou back to Xiamen. Free and easy before taking the flight back to Singapore.